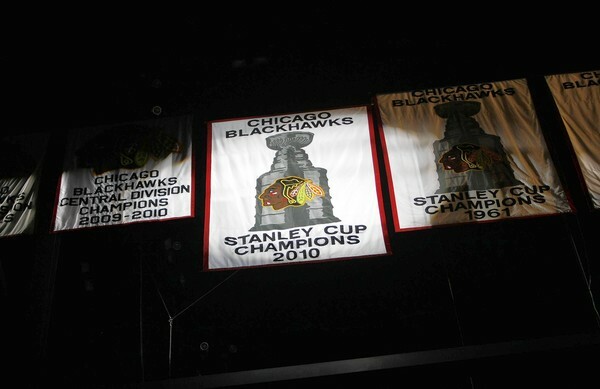 The Stanley Cup Champion Chicago Blackhawks are now where they officially belong: the rafters and the history books. If the $30,000 rings the organization gave every player weren’t over-the-top enough, the ceremony before the home opener was one more step into legend. From the red carpet to a video playing while photos were projected on the ice surface, everything that led up to the entrance of captain Jonathan Toews and the Stanley Cup on Saturday night was both overwhelming and perfect. A team that accomplished what Hall of Fame players didn’t for 49 years deserved the tears of all 22,000-plus people last night. 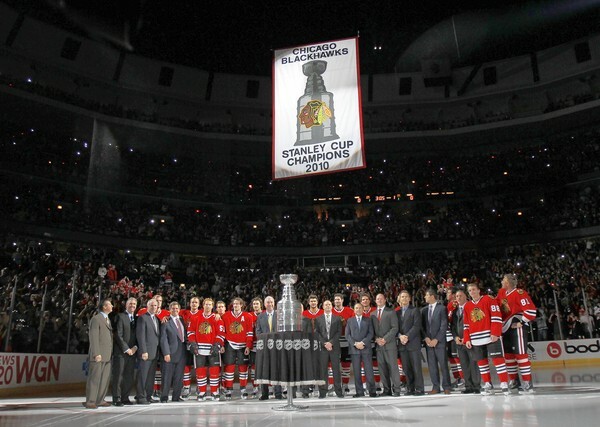 When members of the 1961 team rolled out the new banner, and presented it to the (remaining) members of the 2010 championship team, it brought the comments of Rocky Wirtz full circle when the owner of the Blackhawks told the crowd before the game that the front office is committed to keeping the team on top. After the game, even Troy Brouwer admitted that a few of the players needed a Kleenex after the banner assumed it’s position in next to the other three on the Blackhawks’ side of the United Center rafters. Wirtz told the crowd that the fans played a huge roll in the Hawks postseason success. As a fan, the entire renaissance of the Chicago Blackhawks franchise has been an absolute joy to watch. 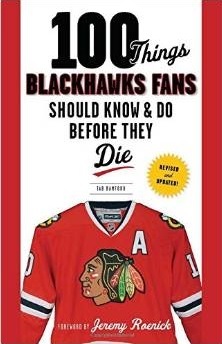 When he took over the team after his father passed away, every step he has taken was to ensure that the Chicago Blackhawks were fighting to be a successful franchise. As the crowd chanted “Rocky! Rocky!” after he concluded his remarks, I turned to the individual on either side of me (both fellow season ticket holders for years) and asked the rhetorical questions: Did you ever think you would hear a Wirtz talk about committing to staying on top? and Did you ever think a Wirtz would say “Let’s raise the banner”? The ceremony was a perfect concluding touch on an incredible season. Now it’s up to the team to do it again.